Baqueira/Beret is visible high on the slopes as you climb the road through the Val d’Aran, a partly autonomous region within Catalonia, which is already partly autonomous from Spain. This is a place that does things its own way, which means modern buildings which house sleek hotels and apartments behind traditional rock facades beneath slate roofs. While the road runs through it, it’s traffic free with an indoor parade of bars and shops above the traffic at one end and tree-lined walkways with more restaurants and stores at the other. A two-hour drive up from Toulouse or several from Barcelona, this is a beguiling mix of Spanish and French cultures (not too far from the principality of Andorra). The Val d’Aran has 33 villages and 30 of them have Romanesque churches, not least the one at Arties a couple of miles from the resort with its ceiling paintings, frescoes and 9th-century font. And yet the modern resort blends in, both the main village and Tanau up the road but linked in by chairlift. Buses link the villages but to explore you’d be better off with a car. Wonderful for everyone from beginners (various spots including the tucked away spot at Beret, the end of the area) to experts with the serious off-piste, but lots of cruising that would make anyone smile. For most people it starts at the Baqueira gondola which links to a clutch of chairlifts that reach up to the 2,500m Cap de Baqueira peak. There is a big selection of red runs but ways down, too, for early intermediates as well as some blacks. The renowned Muguet and Manaud offer a wild, near-off-piste experience. They, and easier trails, head off to the Bonaigua. 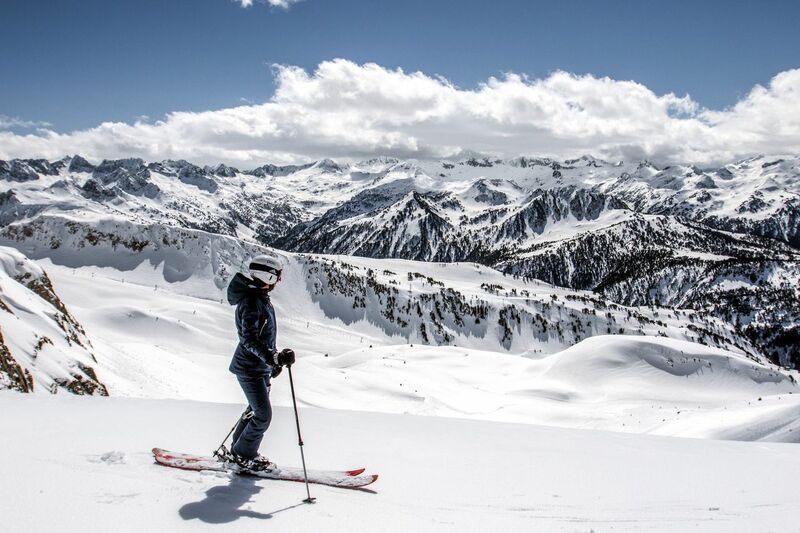 A drag lift takes you to the panoramic high point of the resort, 6,256m Tuc de la Llanca from where the fabulous Muntanyo red runs all the way to the bottom, a drop of almost 600m, snaking through gullies and round bends. 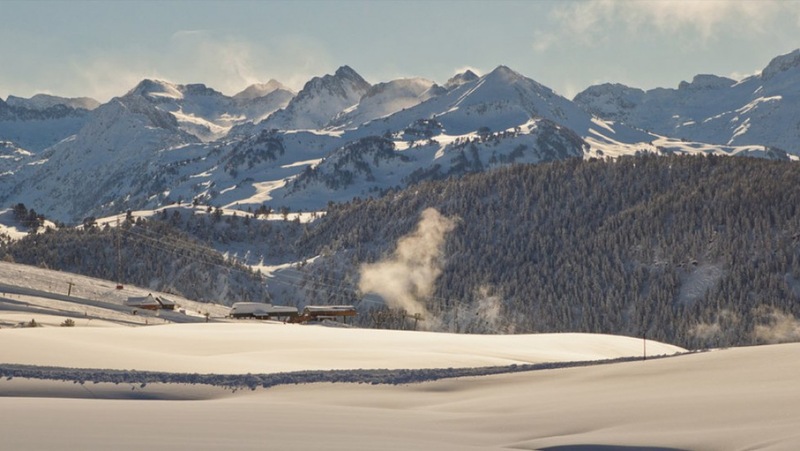 In good conditions almost all of the resort is open to breathtaking off-piste – open bowls, wooded runs and super-steep faces – but Bonaigua offers plenty for all levels. One could spend the day on the La Peulla chair, either on the varied pistes or bouncing down through powder. The other side of the ski area from Cap de Baqueira gives way to the Orri base above which the Jesus Serra chair gives way to a pair of draglifts taking you higher and higher. The second is new for the 2018-19 season, adding loads of off-piste in the Baciver segment as well as 10km of pistes – not least the Estanholets red which then accesses the long, narrow, twisting Orri de Tredos black. The combination gets you to the bottom of Jesus, although you can scoot all the way back to Baqueira itself. There is, however, plenty more skiing above Beret on both sides of the valley. The food: The Urtau tapas bar in Arties is a great example. It’s a throbbing place and the bar is awash with fabulous Iberico ham, stuffed squid, grilled octopus (it’s no real distance to either Med or Atlantic), cod balls and more. The scenery: It’s an ever-changing mix of Alpine grandeur (peaks, forested slopes) and terrain peculiar to the Pyrenees, particularly Andorra (curiously rounded, foliage-free mountains). The skiing: There’s a lovely mix of slopes, plenty for a week’s holiday, all easily accessed and charmingly different. And the decent altitude means the snow is generally good – opening up off-piste, often short stretches, that can be enjoyed by skiers other than just experts. The X Factor: The sense of Spain that pervades the bars and restaurants, the shops and the architecture. 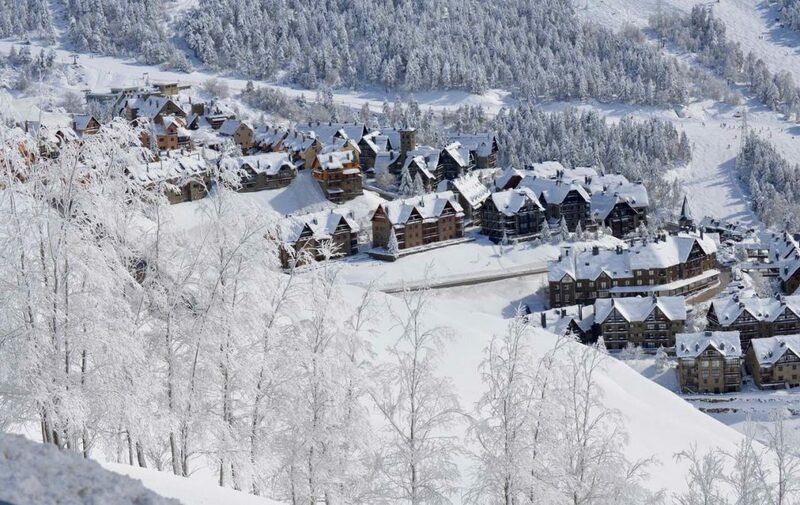 The place is so laid back and even the smart Hotel Himalaia Baqueira revels in local cuisine. El Bosque: A large self-service restaurant with style. Huge stylised illuminated wooden trees circle the roof pillars and the live cooking stations feature wafer-thin crisp pizzas, Spanish stews, grilled chicken and more. There’s a selection of tempting cakes and several coffee points – which also that hot chocolate as thick as blancmange. Grill Cinco Jotas: An offshoot of a famed Madrid chain and brand that celebrates the world of pork, with iberico ham hocks hanging inside the main door and transformed into extravagant platters. Pork – along with lamb and other meats – are cooked to rare perfection on indoor charcoal grills. Grilled baby squid and a crème Catalane (the local variation on crème brulee) to finish. 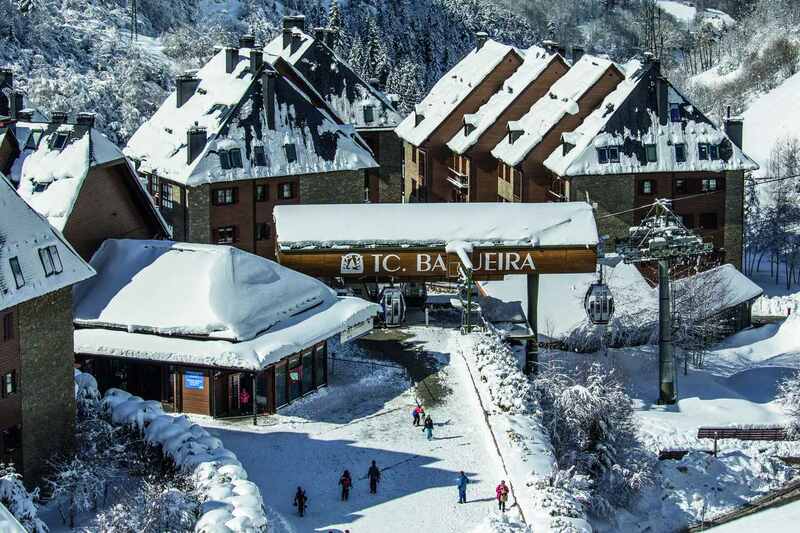 Mid range: Hotel Himalaia Baqueira, one of the biggest and best, reborn under the respected Pierre & Vacances banner for the 2018-19 season. Clad in traditional stone but contemporary on the inside with lots of Tibetan and Nepalese art, not least the prayer wheel dominating the chic bar. Subtle décor in white and shades of brown with bright accents. Huge breakfast spread includes all the usual plus Spanish classics (frittata, paprika sausages, black pudding and roasted chillies). Trendy rooms with charcoal-hued floors, plenty of wood and French balconies. Spa with hot pool and outdoor hot tub. 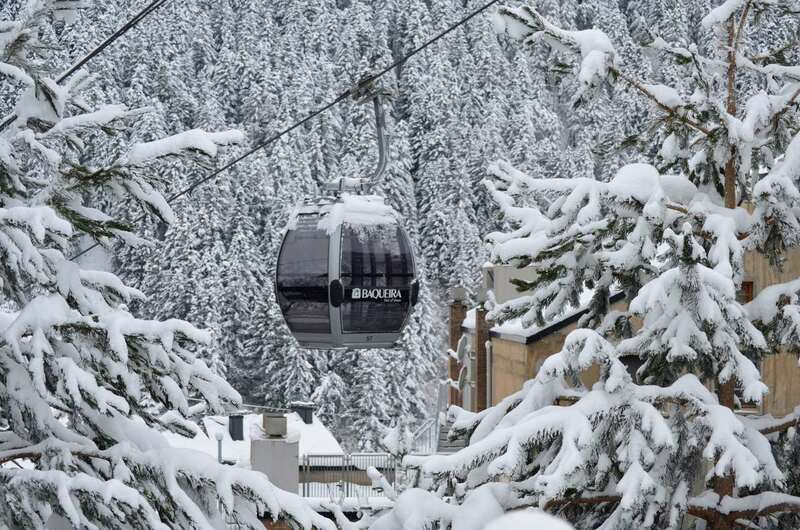 A five-minute walk from the Baqueira gondola – under which it has its own ski room. 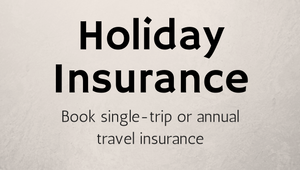 Three-night stays from €286 (£246)pp, B&B. Luxury: Eira Ski Lodge. A small hotel now with an upmarket chalet feel. American and British staff – including chef Charlie Locke whose past includes upmarket Brit chalet specialist Mark Warner as well as Richard Branson’s private chalet in Verbier. Right by the lift in Tanau. It sleeps 16 in eight rooms, although the four duplexes have sofa beds too. Whole lodge rental from €15,000 (£11,500) for seven nights. Fly: EasyJet offers return flights from London Gatwick to Toulouse from £45. 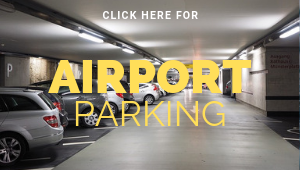 Car rental is available at the airport.